Douglasville Spray Foam Insulation allows residential and commercial structures to be more sustainable by making houses more energy efficient, healthier, and durable than traditionally insulated homes. Most spray foam materials are water assisted and soy-based, so they do not have much of a negative impact on the environment and can provide the homeowner with decreased energy costs in the end. 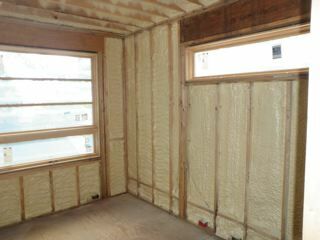 Most traditional spray foam materials are made of glass or cellulose, which are not that environment friendly. However, spray-on insulation, made of polyurethane foam, is pumped through pressurized spray nozzles. Once sprayed, it expands to one hundred times its original size and provides a thermal seal and it utilizes renewable resources. The product also can be water-blown which means it is more environmental friendly than traditional one. When it expands, it fills each cavity, crevasse and hole to create a sealed envelope. If properly installed, most spray foam does not usually foster mold or insects and does not break down, hence creates a sealed interior, blocking unwanted pollution out. Spray foam insulation adheres to most material, such as wood and steel and can be used for new constructions or renovations. If the installation is correct, this product poses few issues with properly installed electrical wiring. Douglasville Spray foam insulation can seal and fill all the tiny cracks and seams. The material helps to eliminate energy wasting air filtration which can save on framing costs, as well as window and door jambs. This type of product also helps control moisture condensation because it will not shrink and it is fire resistant. In addition, the environment friendly product has been known to alleviate the discomfort associated with indoor allergies and other airborne illness. 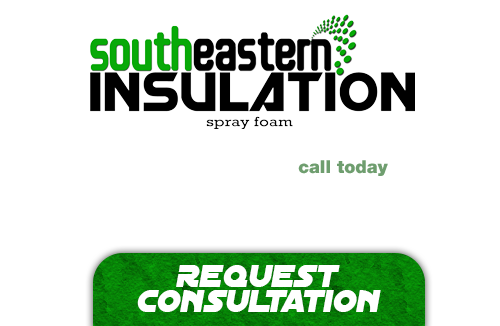 With years of service experience providing the Douglasville area with the absolute best in spray foam insulation and whole home energy efficiency services, you cannot go wrong in turning to the qualified professionals at Southeastern Insulation. We take great pride in the craftsmanship of our work and are wholly dedicated to offering the very best customer service at all times. If you want to take your home to new heights of energy efficiency, then you only need to call on us! If you’re looking for a professional Douglasville Spray Foam Contractor, then give us a call today at 678-561-FOAM or complete our request estimate form.